‘The Report Builder click once application does not exist on the report server ‘your-report-server’. Ensure that the report builder application manifest exist on the server and try again’. The reason for this is that there is a registry key that needs to be updated to version 3 as when the CM2012 console is installed, it puts in the version 2 key and the report builder will not work. To make this fix as simple as possible, we have created an MSI installer that will make the changes required and then allow you to create custom reports from the CM2012 Console. As it is an MSI file, you can also add it to your Software Catalog to distribute to other should this be required. 2. Support to repair all subtypes of RAR archives. 7. Support integration with Windows Explorer, so you can repair a file with the context menu of Windows Explorer easily. 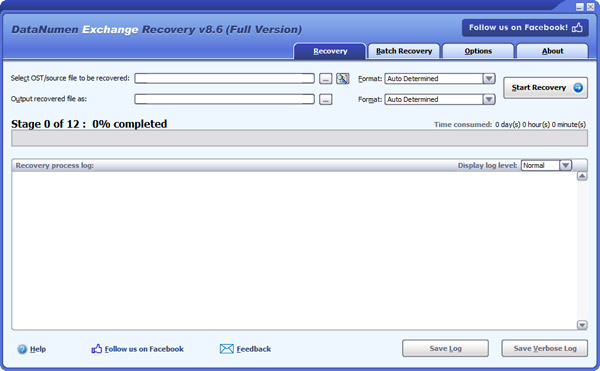 DataNumen Exchange Recovery(formerly Advanced Exchange Recovery) is the best recovery tool for Microsoft Exchange offline storage(.ost) files. When disaster occurs on Microsoft Exchange server, such as server crashes, server database corruption, etc., the Exchange offline storage files(.ost) on the client computer still contain the mail messages and all other items of your Exchange mail account. DataNumen Exchange Recovery uses advanced technologies to scan the orphaned or damaged Exchange offline storage files(.ost) and recover your mail messages and other items as much as possible, so to minimize the loss in data disaster. 1. Support Exchange 5.0 to 2016, Outlook 97 to 2016 and Outlook for Office 365 OST files. 9. Support to recover password protected OST files, both compressible encryption and high encryption(or best encryption) are supported. 10. Support to generate fixed PST file in Outlook 97-2002 format, Outlook 2003-2016 format and Outlook for Office 365 format. 11. Support to recover OST file data from various undamaged or damaged virtual machine disk files, backup files and disk image files.